Recently, I participated in a Twitter party throughout the party you had the opportunity to receive gifts which you could then review as well as connecting with brands. 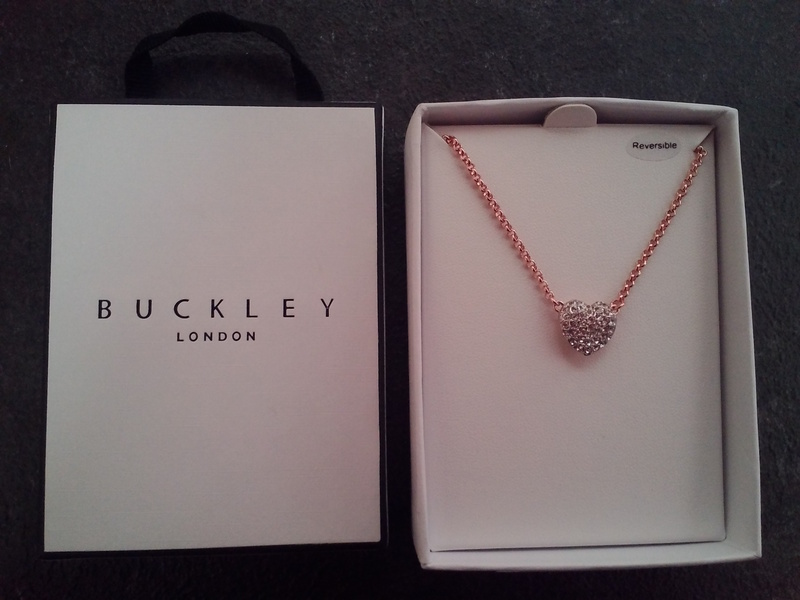 I got gifted from the brand Buckley London. They are a jewellery brand who sells the most classical jewellery it’s just so elegant and beautiful. I received the miniature heart pendant necklace. Once I saw it I fell straight into heaven it was just so eye catching the diamantes were just so sparkly – and I do love my bling. This was right up my street sparkly and rose gold which I adore!! It ticked all the boxes, I love it!! However, I would love the chain to be a bit heavier as it would feel more comfortable on me as I like having heavy necklaces. Overall, I do love it! It’s classy and elegant as well as attractive. I can’t wait to style it with my outfits and match it with other jewellery. What’s your favourite piece of jewellery? Comment below. « *Accessorizing with Orelia Jewellery.